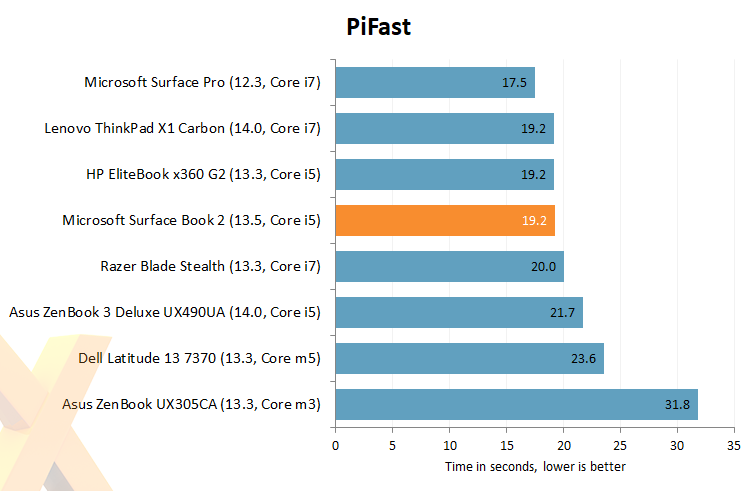 It should be noted that even the entry-level Surface Book 2 is quick. 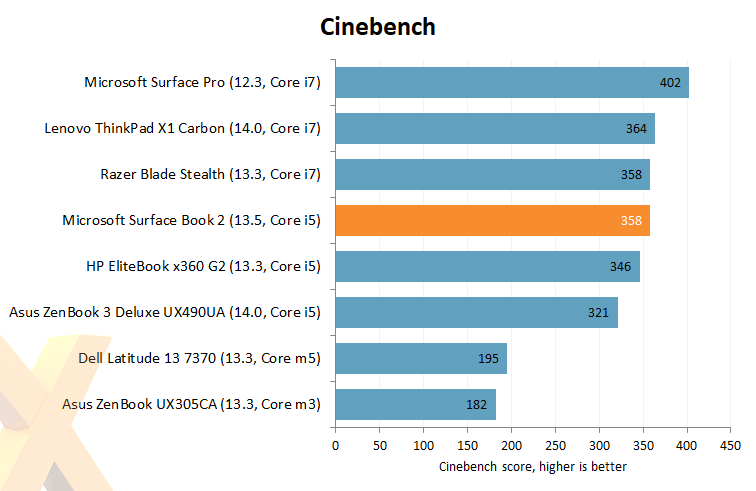 The Intel Core i5-7300U may be a last-generation, dual-core part, yet hyper-threading support and a top speed of 3.5GHz make for a responsive system. 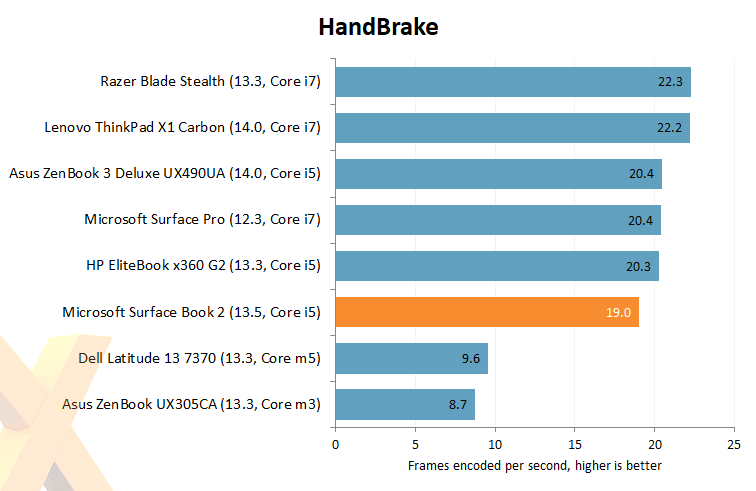 The most affordable Surface Book 2 holds its own in the single-threaded PiFast and multi-threaded Cinebench examinations, but Handbrake also reveals an inevitable truth; with passive cooling, this 13.5in machine can't maintain top speed at all times. Our logs reveal that CPU frequency fell from 3.5GHz to 2.5GHz during ultra-intensive workloads.